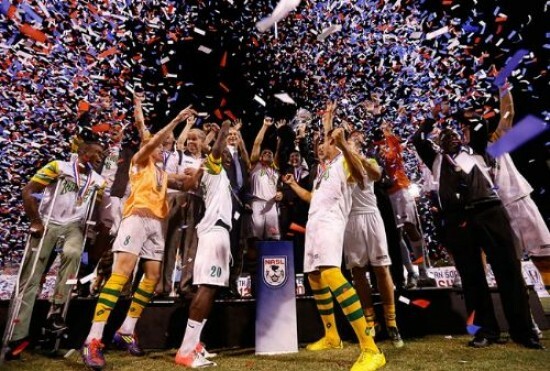 The Tampa Bay Rowdies won the 2012 NASL Soccer Bowl with a penalty shootout victory over the Minnesota Stars. A 3-1 win in Tampa Bay reversed the Rowdies' 2-0 loss to the Stars a week earlier in Minnesota. Rowdies goalkeeper Jeff Attinella came up huge in the shootout, making three saves to secure the victory for Ricky Hill's side. The San Antonio Scorpions won the 2012 regular season, fisnihing on top of the final standings two points clear of the Rowdies. The Stars claimed the final postseason spot and eliminated No. 3 seed Puerto Rico Islanders, 2-1, in the quarterfinals. Minnesota went on to shock the Scorpions with a 2-1 away win in the semifinal second leg after a 0-0 draw at home. The Carolina RailHawks enjoyed a 3-1 win over the Fort Lauderdale Strikers before falling to the Rowdies 2-1 after a 3-3 draw away from home. Campos led the league in scoring with 20 goals and helped the Scorpions to finsh atop the standings in the regular season and was chosen by the media as the league's MVP. Campos tallied 20 goals to claim the league's top scorer award. Sattler kept 13 shutouts and claimed the award with his 0.79 goals against average. Goalkeepers had to play a minimum of 10 games in 2014 to be eligible for the honor. 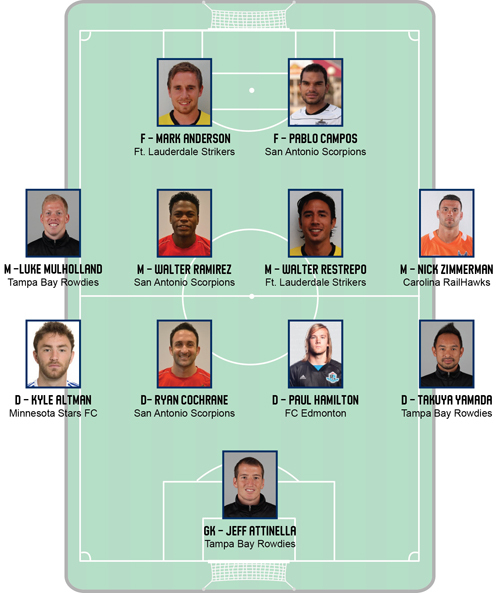 Awarded to the team with the best discipline record in the NASL regular season, based on fewest red and yellow cards. 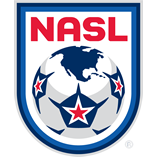 Awarded to the team finishing first in the standings during the NASL regular season. Awarded to the team that wins the NASL Playoffs Final Round series on aggregate goals.